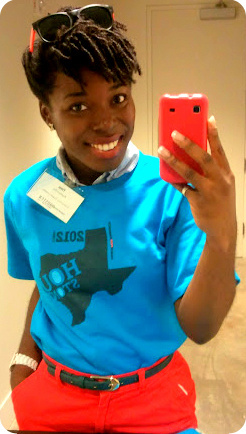 I volunteered at Houston’s Teach for America 2012 Induction last week. I had a fabulous time! I met some great individuals who are about to undergo intensive training to be transformed into transformational teachers. Being among such high energy, optimistic people recharged my passion for education. 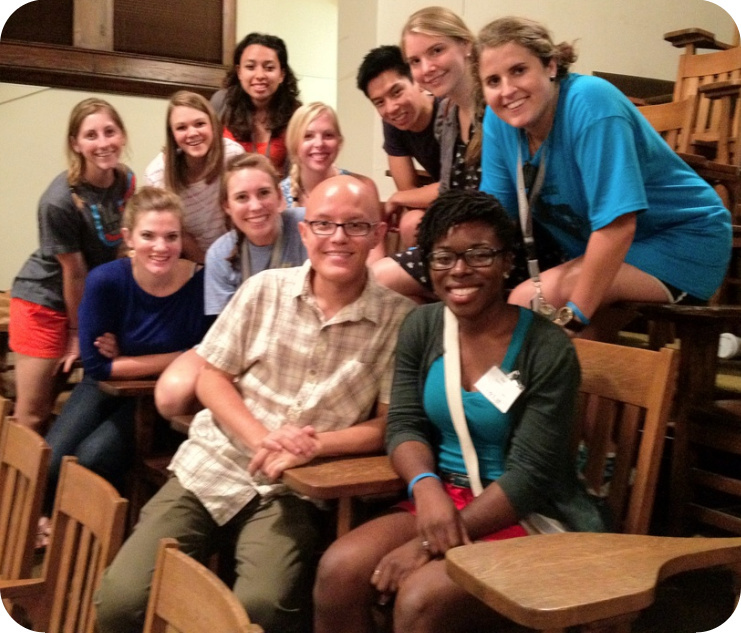 Here are just a few of the incoming TFA Corps Members. I’m proud that I will be working along-side these individuals in the fight for educational equity. 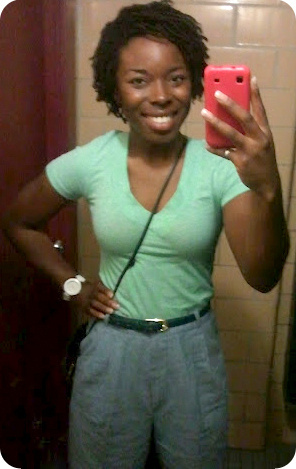 I had my hair in coils all week. At this point, the coils are about a month old. I started experimenting with updos and finally settled on the basket weave technique or the the “lobster tail” that many loc’d individuals sport. All you do is layer strands of hair on top of one another in chunks. I used to do this style with my yarn braids for updos. 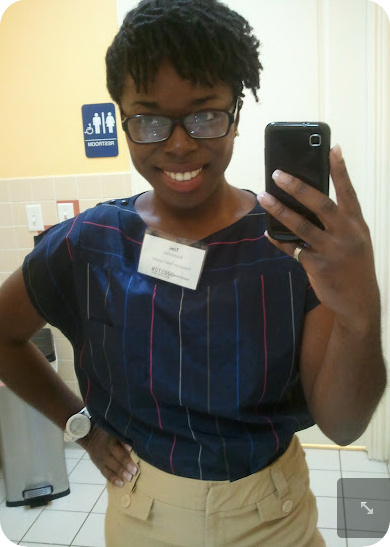 People kept telling me they loved my locs, which was very flattering. 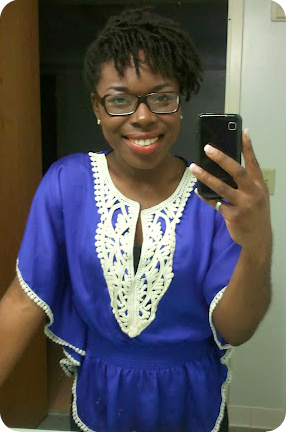 It seems I have an eye for loc-look-alikes when it comes to hair. 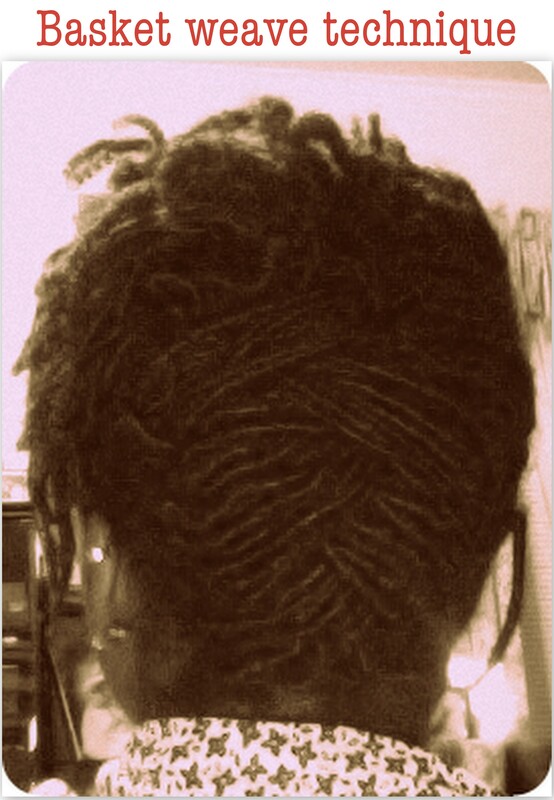 Later on in the summer, I may try another loc-look-alike style when I go to New York.